Bucky, deciding if the camera is worth eating. That title sounds like some rough farm dance. But no, it isn’t. 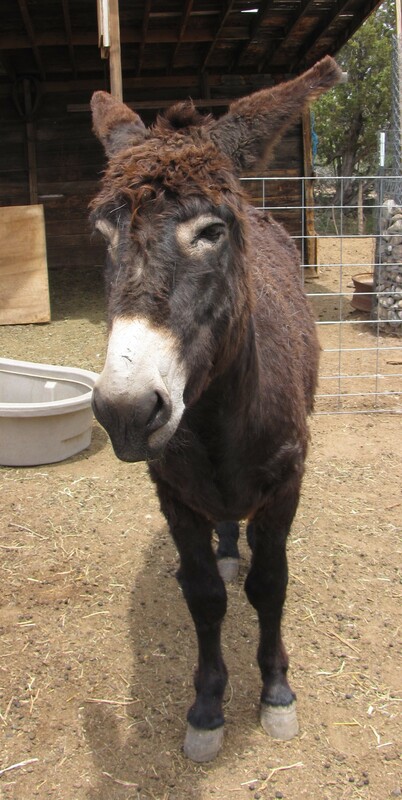 One of our jackasses stomped on my foot nearly 2 weeks ago when I was working with the farrier. We have the farrier out about every 6 weeks to trim the boys’ hooves. Bucky wanted to be first, as usual. 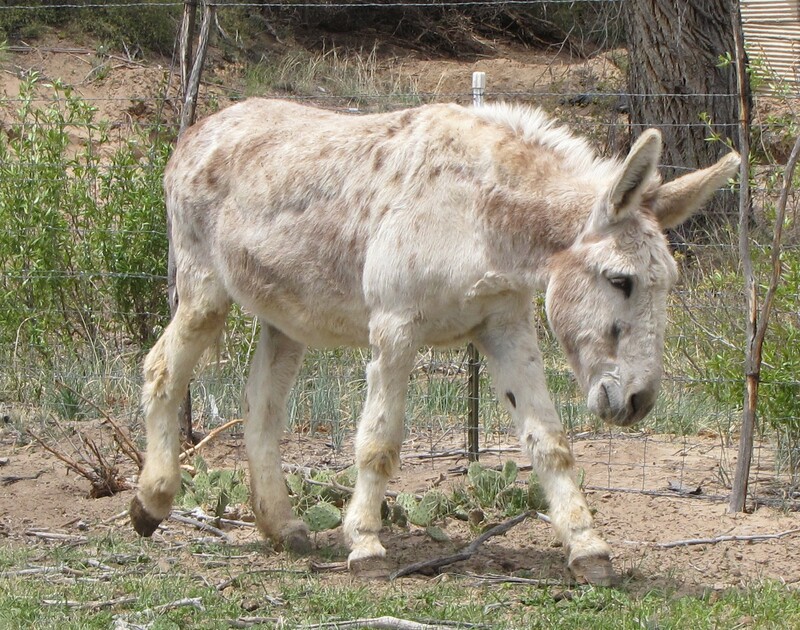 So, we put him in halter, led him out of the corral, got him trimmed, then put him in the unused garden area. Next was Jake. Then Sol. When I put Sol in the garden, Bucky decided to start biting him on the neck while I still trying to remove the halter. 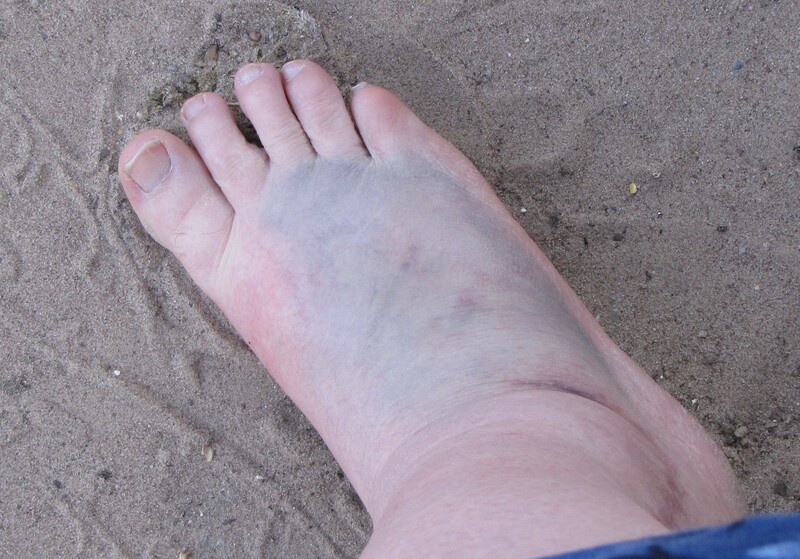 This is my foot about 1 week after being stomped. The ground there is pretty uneven and quite frankly, I was concentrating on Bucky’s teeth. I don’t enjoy being bitten by donkeys (which has only happened 3 times in my life). So, I was trying to ram an elbow into Bucky’s sensitive nose while trying to unhalter Sol. 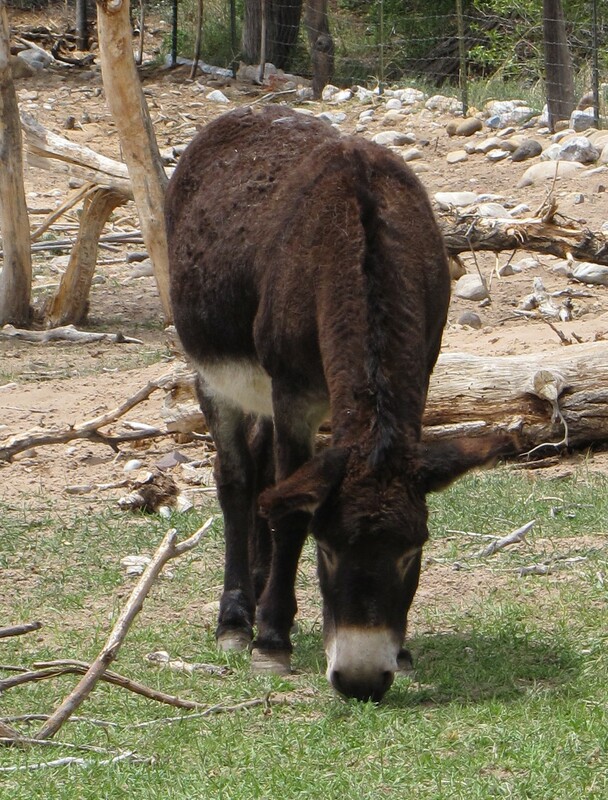 Bucky is the smallest of the donkeys, so I also hoped he would just bugger off for a few minutes. Anyway, the two boys were both stomping and jumping a bit, fore legs crashing down to the earth. And one of them gave my foot a glancing blow. I swore and released Sol, so he ran off. Bucky followed despite Sol kicking him in the head repeatedly. 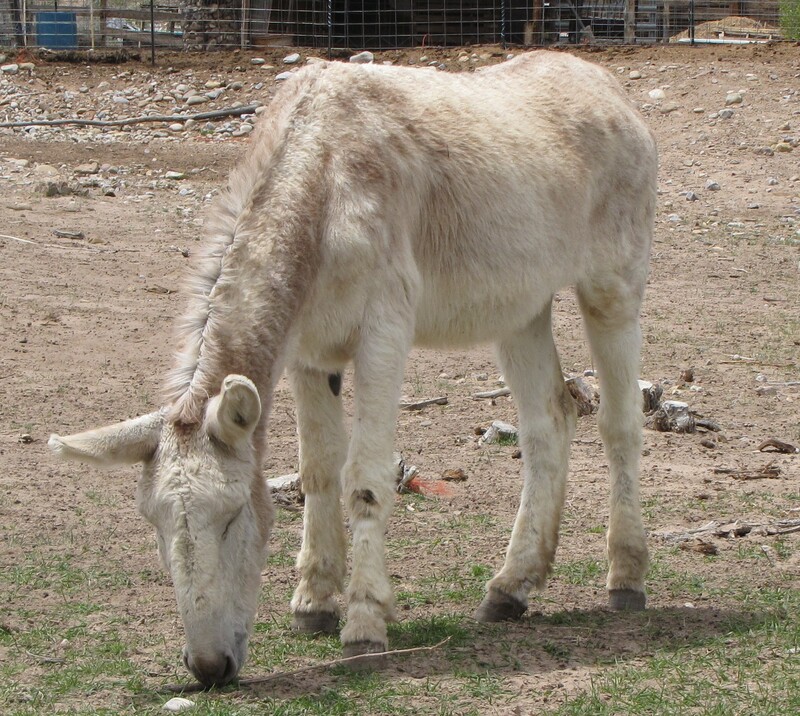 Bucky is the only one of our donkeys who is not neutered. Since he is the smallest, we haven’t been too concerned about his sometimes aggressive behavior. The farrier had just finished commenting on how mellow a full-grown stud Bucky is (he’s ~5 years old now). And this is the first time he has been a jerk during a hoof trimming session. Still, my vote is to have Bucky de-balled. Yep, we need a little jar to stuff excess cash into, labelled ‘Bucky’s Balls’. If there are any chemists out there, I know you are snickering (bucky-balls). Sol has always been a picky eater, and yet he is tubby. We eventually got Bucky in to the corral. He ran in and I shut the gate behind him. Then we were able to finish up trimming Tobiah’s hooves. Within 15 minutes I was limping pretty good. Ice and elevation was the only thing I got done for the rest of the day, along with a call to my doctor’s office to have my foot checked out. I was able to go up the next day, since my man was kind enough to take time off work to drive (as my foot hurt way too much to be pushing pedals). Oddly, our chosen hospital doesn’t have an on-staff radiologist. So while they can take xrays, they do not have anyone to read them. So, they have to be sent out for interpretation. The following Monday, I called my doctor’s office and the aid said she had the results but couldn’t tell them to me because they had to be reviewed by my doctor first. That seemed more than a little silly. Anyway, they called back the next day (Tuesday), a solid 5 days after the initial stomping, I have my answer: no fractures, just lots of bruising. Tobiah obviously has some place to be.